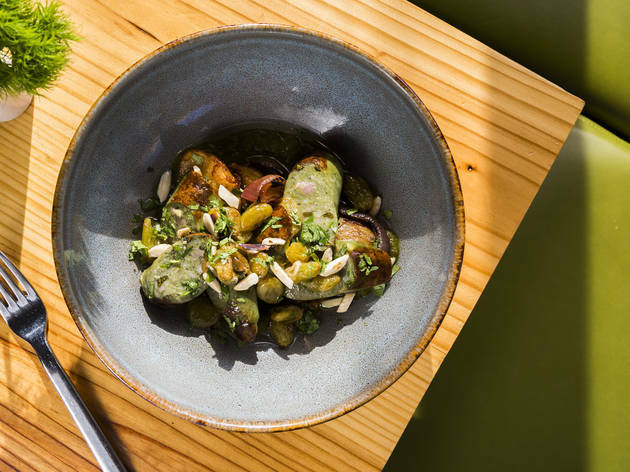 These internationally-influenced dishes span the city. 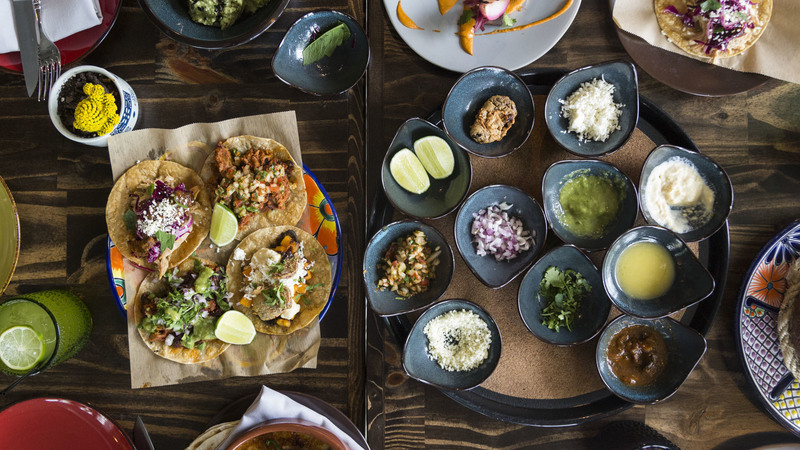 Check out our favorite tacos, pizzas, noodles and steaks. 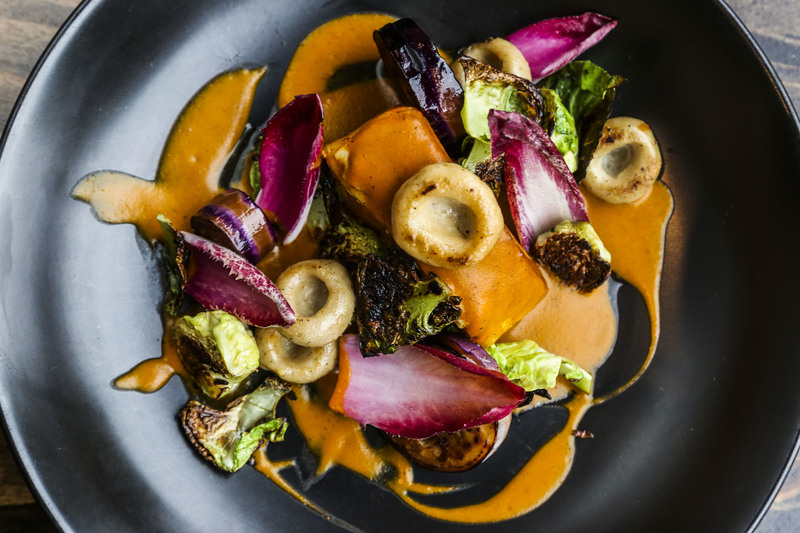 This year, Chicago chefs showed off their skills through a slew of diverse dishes. 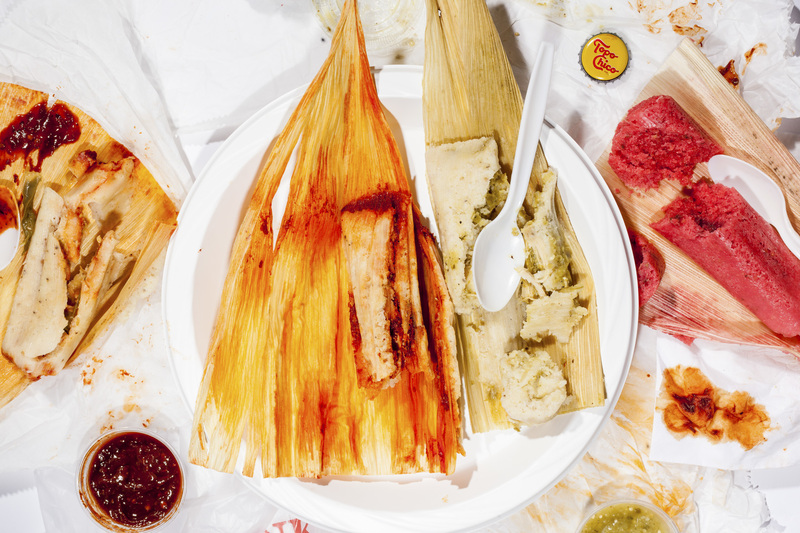 From January to December, we noshed on pizza, noodles, tamales, tacos and so much more. Along the way, we found some truly spectacular entrees that wowed us. Take a look at the plates that kept us coming back for more in 2017. 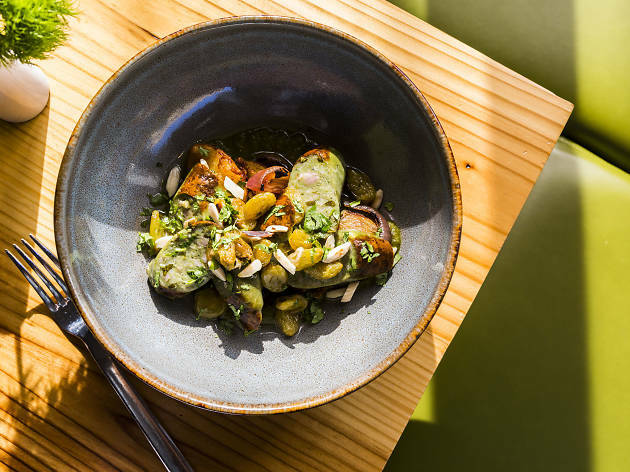 It’s best to go into this 14-course menu surprised, but we’re going to spoil one of the dishes because it’s just too good not to appear on this list. 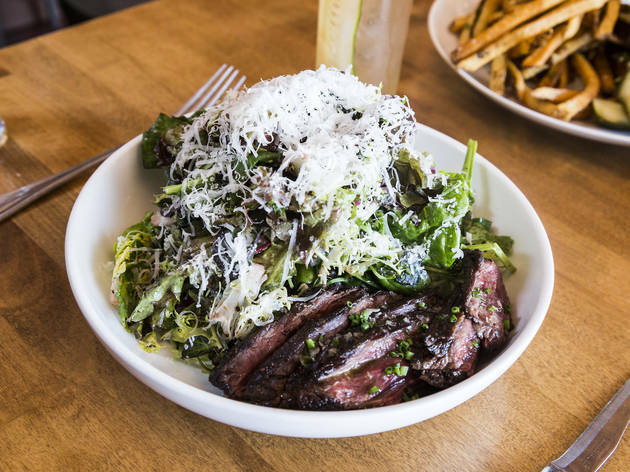 This hunk of pristine beef boasts a ruby-red center and a crispy exterior and is served alongside charred gem lettuce and furikake. $190 tasting menu. 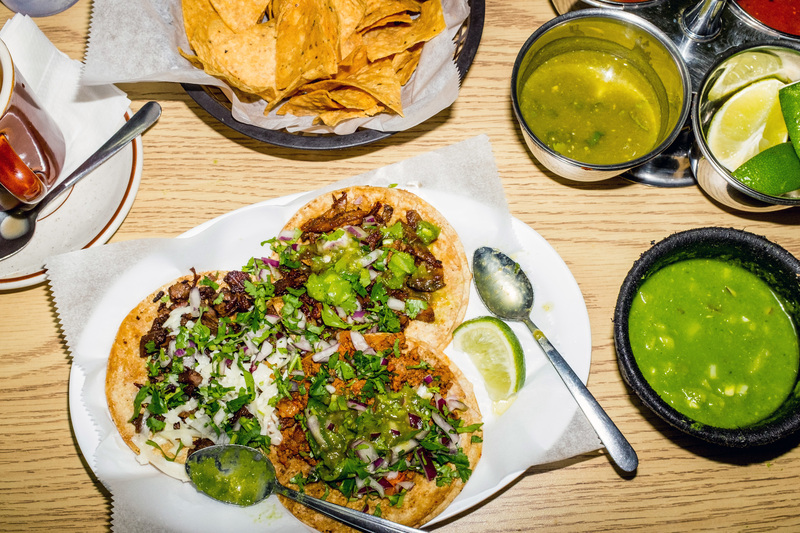 We’re tough critics when it comes to tacos al pastor. 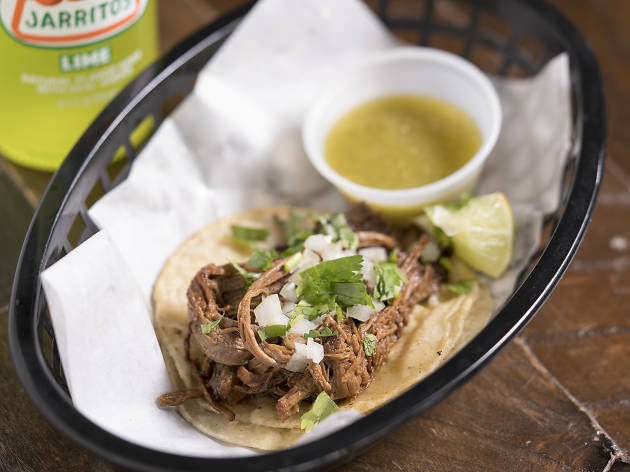 The meat must be crispy and fatty (but not too fatty), and the only accessories permitted are cilantro, onions and lime. 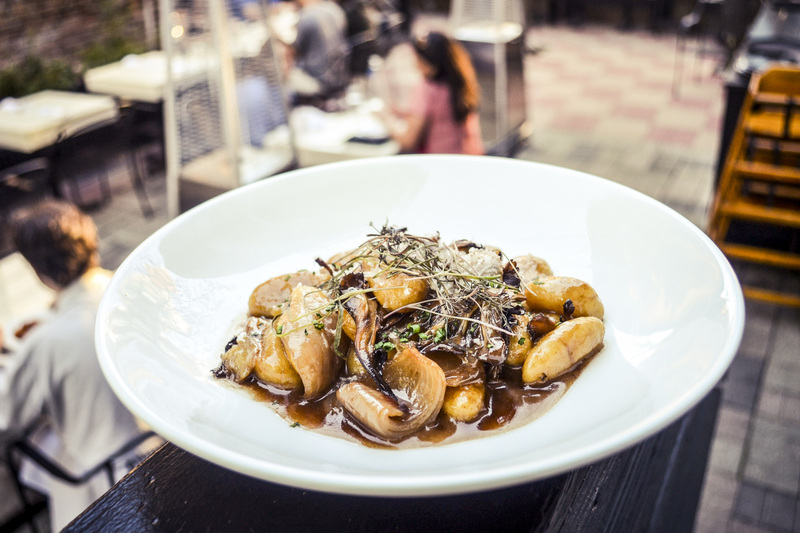 With those criteria in mind, we think this Lower West Side version is the best in the city. $2.30. 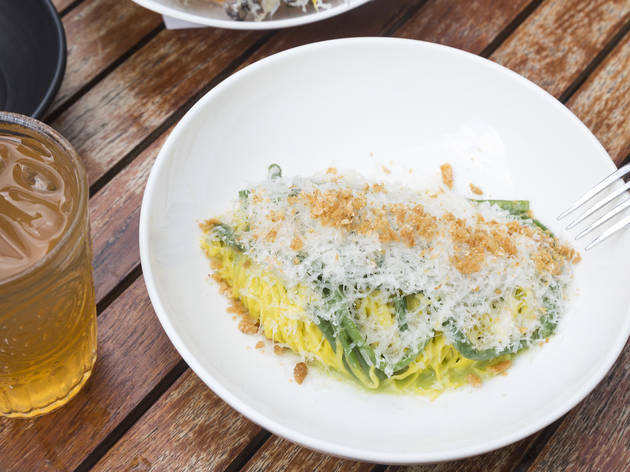 This Logan Square newcomer is known for its house-made pastas, and it was the unassuming tajarin that did us in: Thin, eggy ribbons tangle with butter, green garlic, barely-cooked green beans and crunchy chicken cracklins. 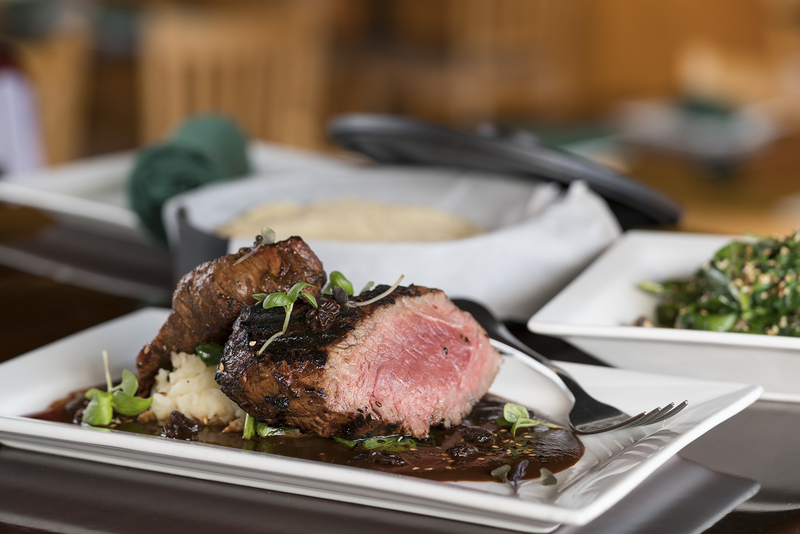 We’ll give you a moment to wipe the drool off your face. $15. 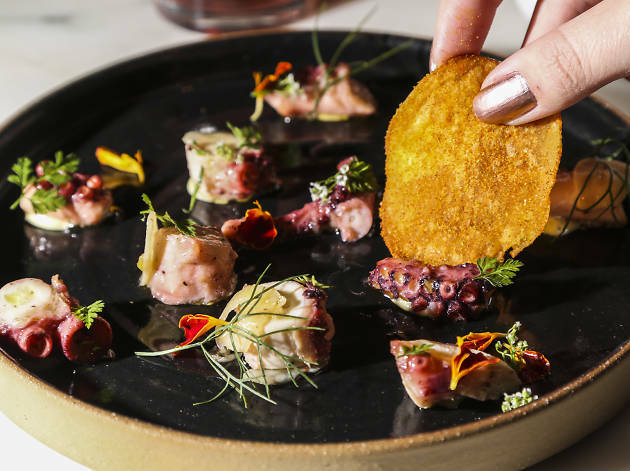 Sturdy tentacles are rendered silky from a complex process of braising, vinegar-curing, then marinating in aromatic oil. 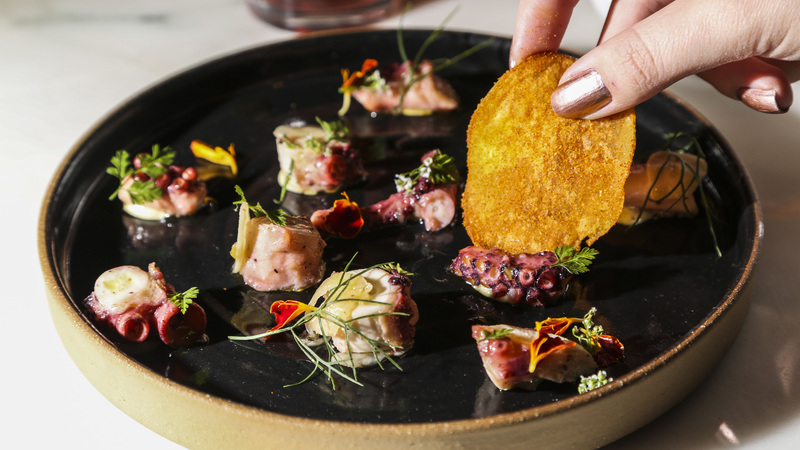 The addictive morsels are arranged atop mounds of briny caper aioli and streaks of lemon oil and served alongside spice-dusted saffron chips. $13. 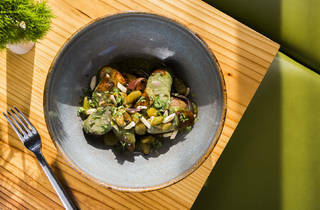 One of the last things you’d expect to find in the middle of a coursed meal at a fine-dining destination is a doughnut—but this West Loop spot does just that. 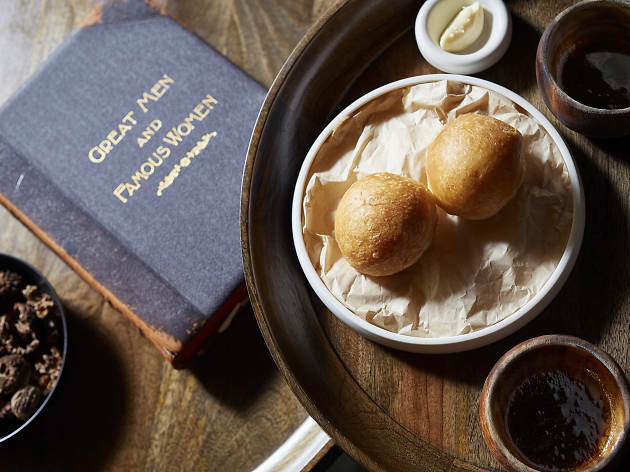 The savory pastry is served with aged beef jus for dipping. 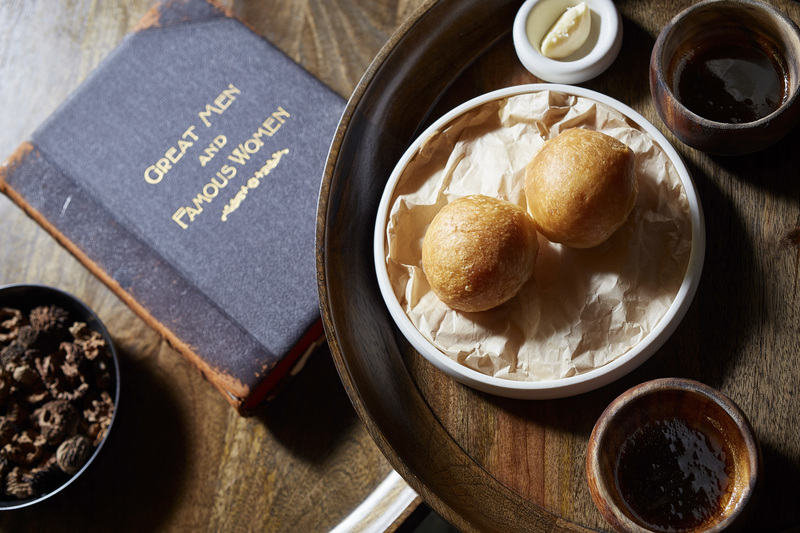 It's a spin on the traditional bread course that we absolutely adore. $145 tasting menu. Winter weather got you down? 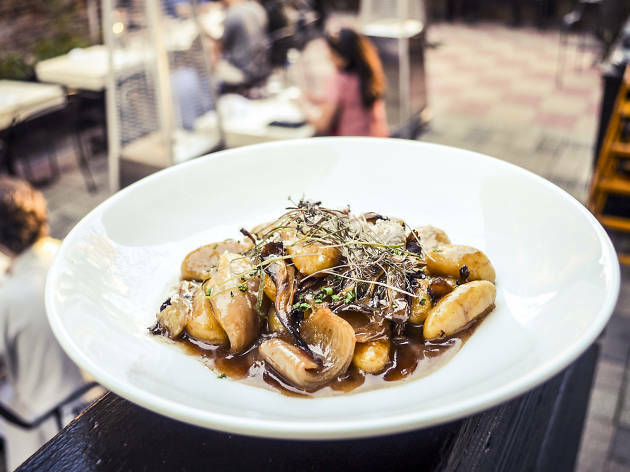 Book it to Bucktown and order a bowl of soul-warming potato dumplings swimming in a stew of foraged mushrooms, cipollini onions and chicken jus. $18. 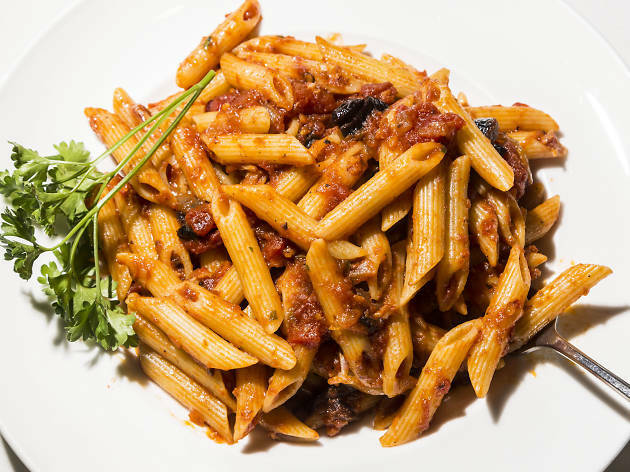 This authentic Italian restaurant has been serving sauce-loving Chicagoans since 1933—so you know it’s good. 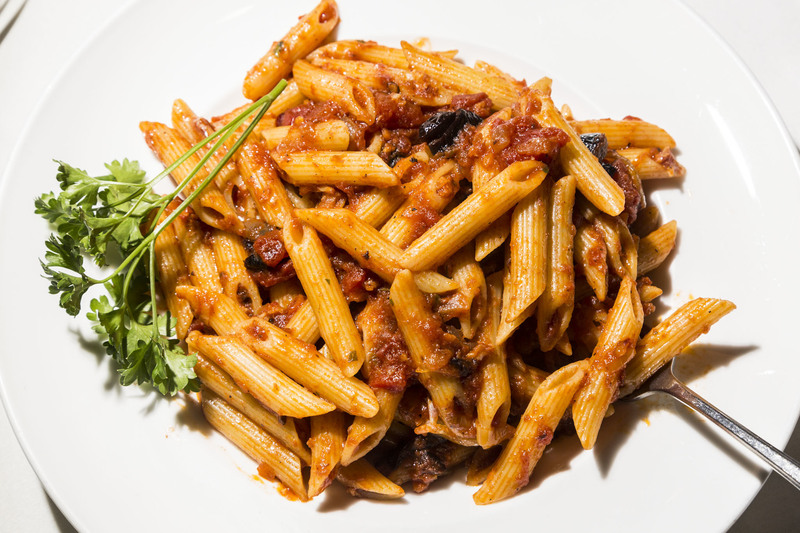 The menu is exhaustive, so we’ll make it easy on you: Order this family recipe, which is smothered in spicy, chunky tomato sauce and kalamata olives. $17. 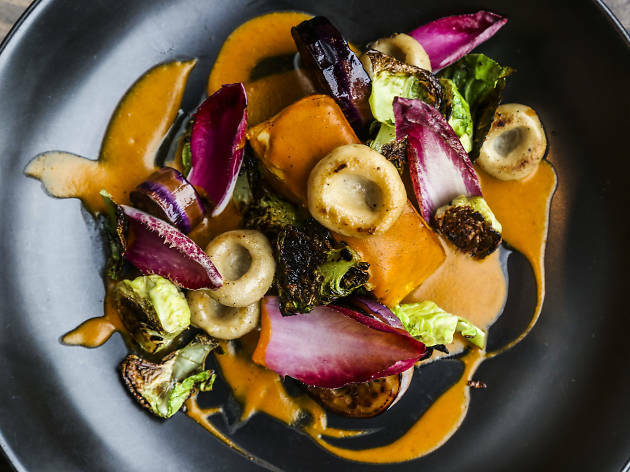 Although the types of mole, accompanying veggies and fish change with the season, this dish has been a constant on the menu since the Logan Square spot opened in 2017—and for good reason. 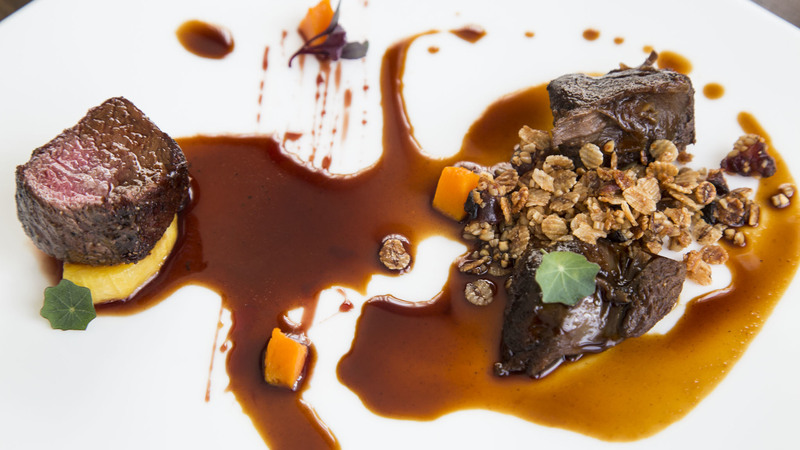 The complex, flavorful composite shows off chef Diana Dávila’s prowess in the kitchen. If we had to order just one plate here, this would be it. $18. Sometimes simple is better. 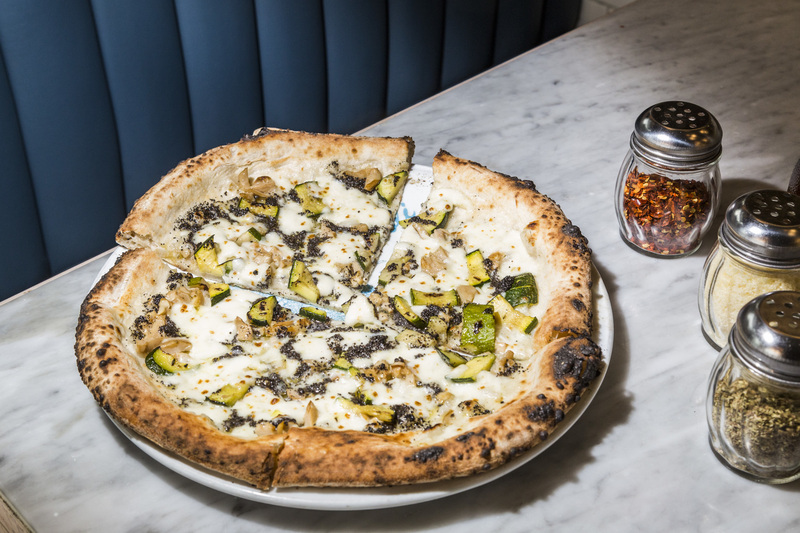 But when you’re feeling excessive, upgrade to this loaded pie in Hyde Park. 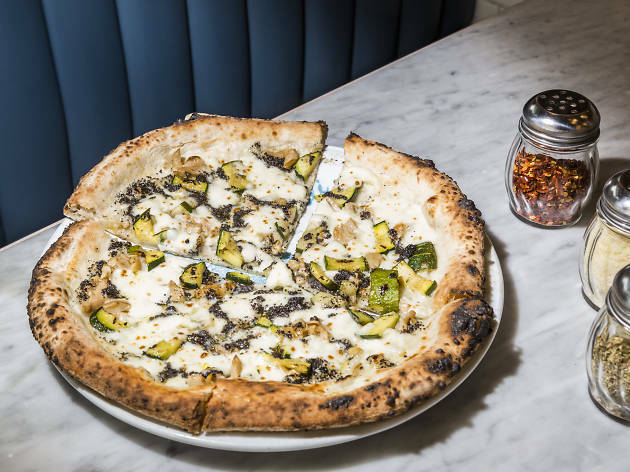 Black truffle pâté, grilled zucchini and porcini mushrooms shine with the help of creamy mozzarella and a dash of white truffle oil. $19. 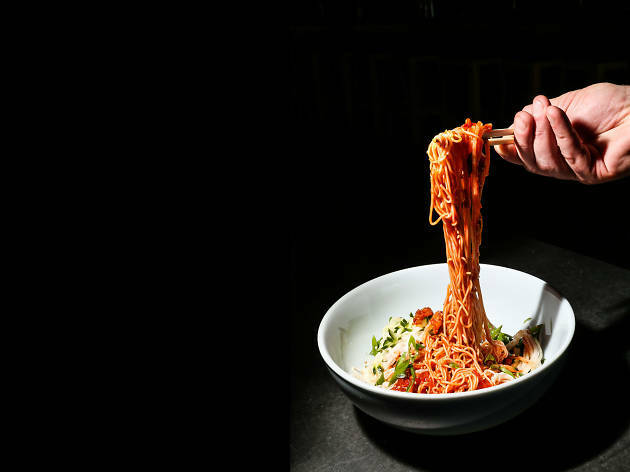 Now that you’ve exhausted every ramen joint within city limits, say hello to our new winter favorite—Chongqing noodles. 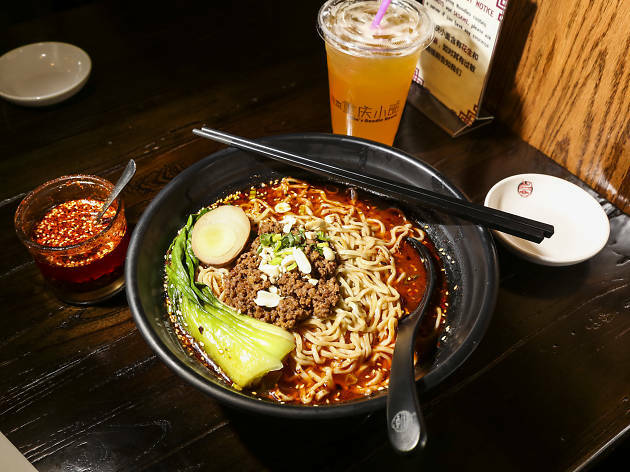 A bowl of mouth-numbing, chili-laced broth hides a mound of slurpable carbs, minced pork and green onions. $7.95. 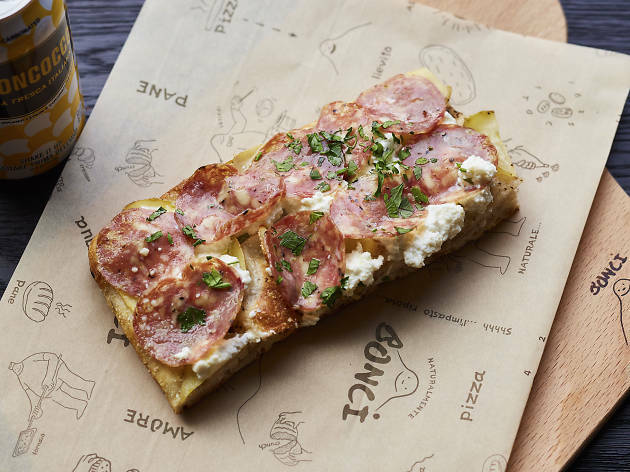 After trying a slice of this epic pie, we’re convinced that all pizzas should be topped with a sheet of paper-thin potatoes. 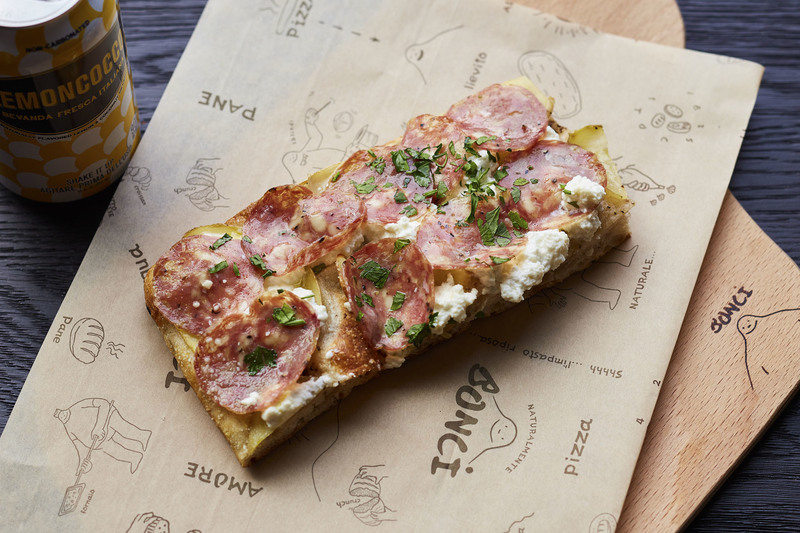 Salty salami and globs of creamy ricotta don’t hurt, either. $12.99 per pound. 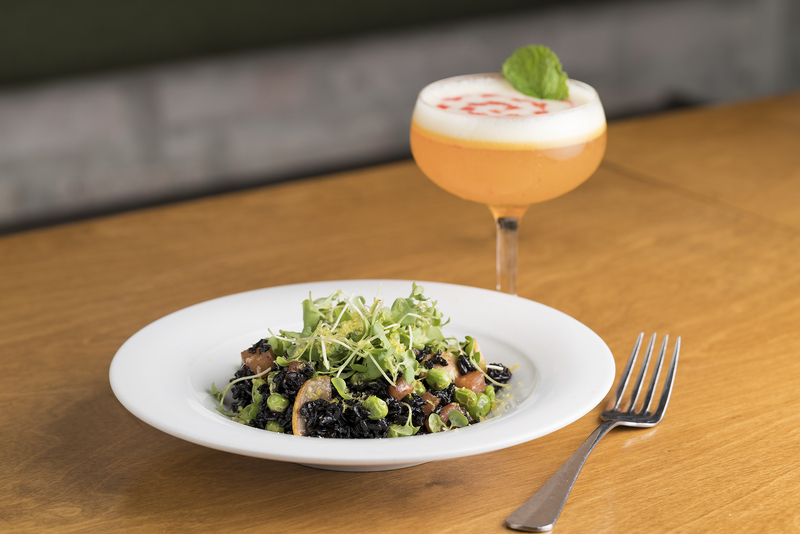 A mound of toothsome black rice is studded with yellow squash, English peas, radish kimchi and cured egg yolk. The melt-in-your-mouth combination will leave you woefully disappointed when you return your regular neighborhood takeout joint. $11. 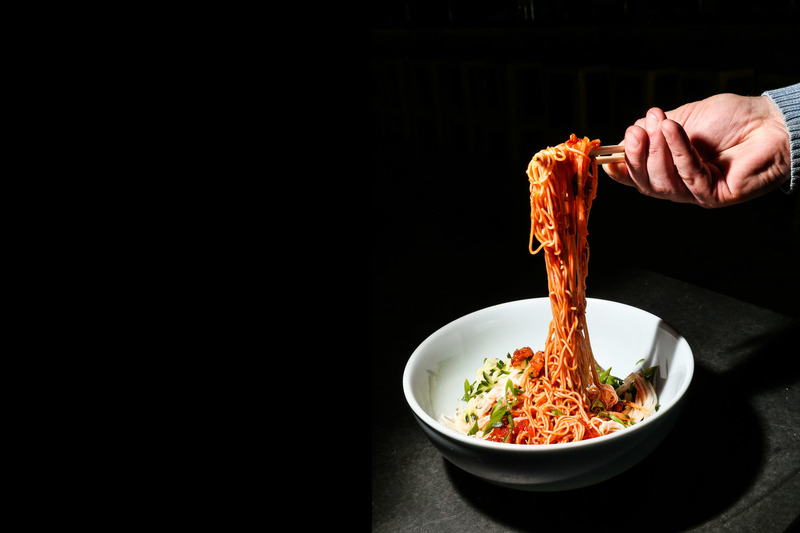 It looks like a big ole bowl of marinara-drenched pasta, but this summer menu favorite is actually chilled wheat noodles topped with kimchi-chile dressing, a soft-boiled egg and julienned cucumbers. It’s the ultimate refresher on a scorching hot day. $10. No longer available. 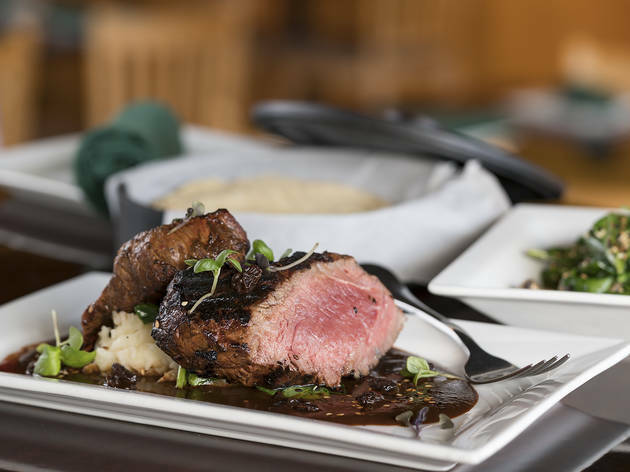 Yes, you’re here for steak; no, we didn’t forget. 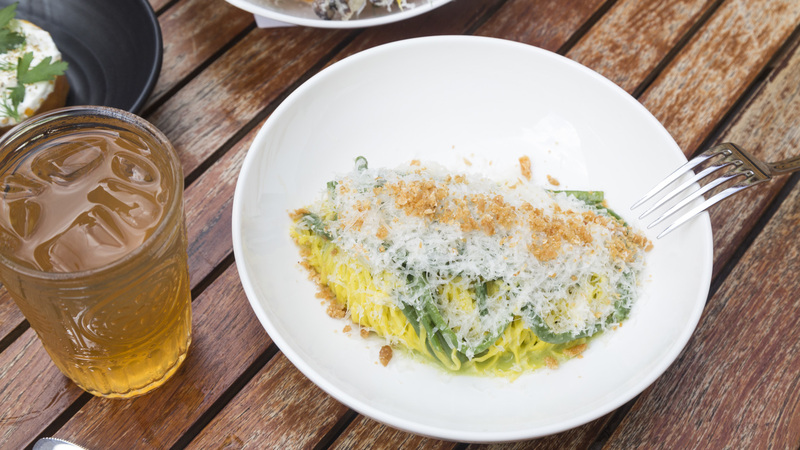 Trust us on this one and don’t let the words green or salad throw you off. 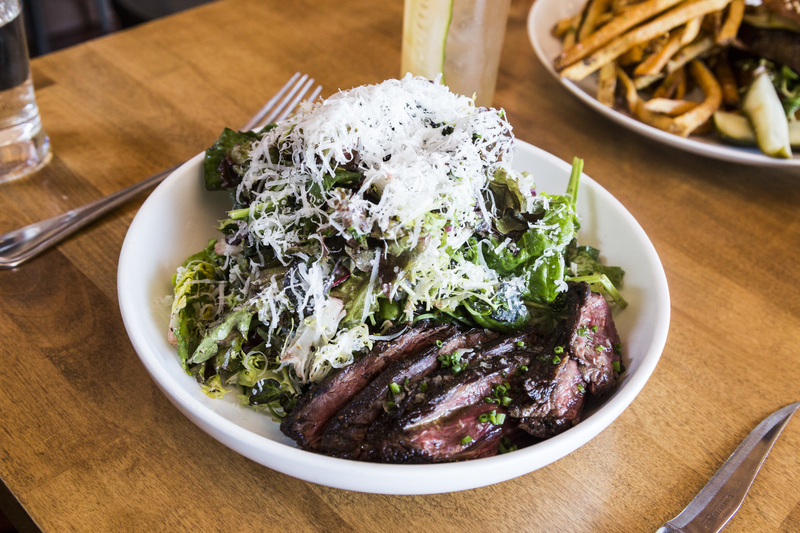 Cherry-red slices of hanger steak are plated atop greens and showered with Parmigiano Reggiano and onion vinaigrette. $7. 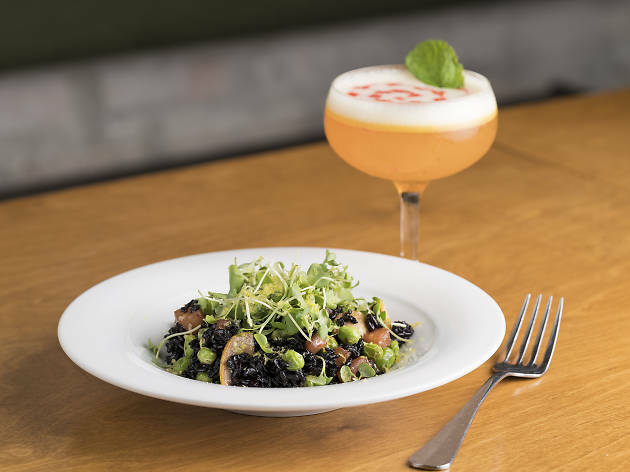 These days there’s a poke joint in every neighborhood, but we were blown away by the super fresh, on-demand options at this delivery-only concept from Lettuce Entertain You. Pink-hued cubes of tuna are jazzed up with a hodgepodge of colorful ingredients: scallions, cucumbers, watermelon radish, avocado and more. $9.95–$12.95. 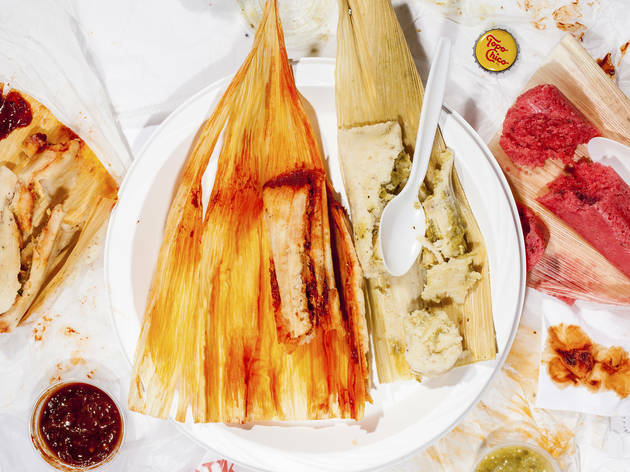 We’d argue that tamales are the ultimate comfort food, and we found a new favorite in Hermosa. 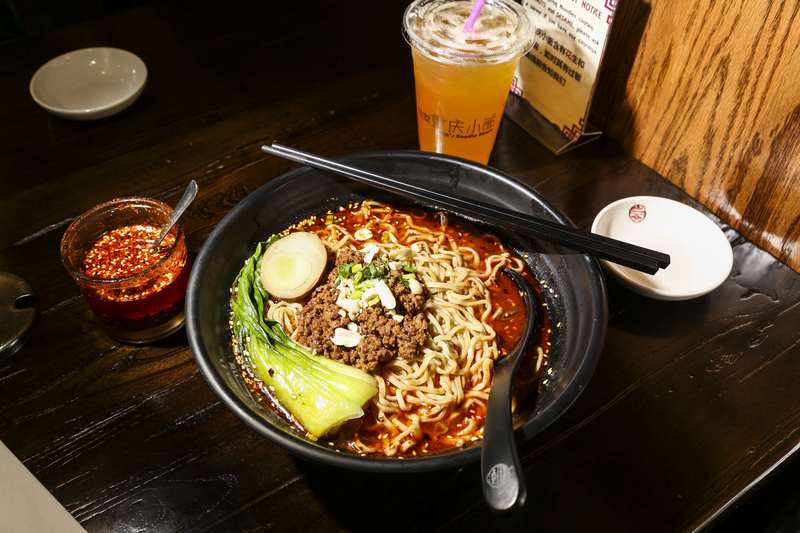 Offering a firm kick of chili heat, this pork-filled morsel satiates our deepest hunger pangs. 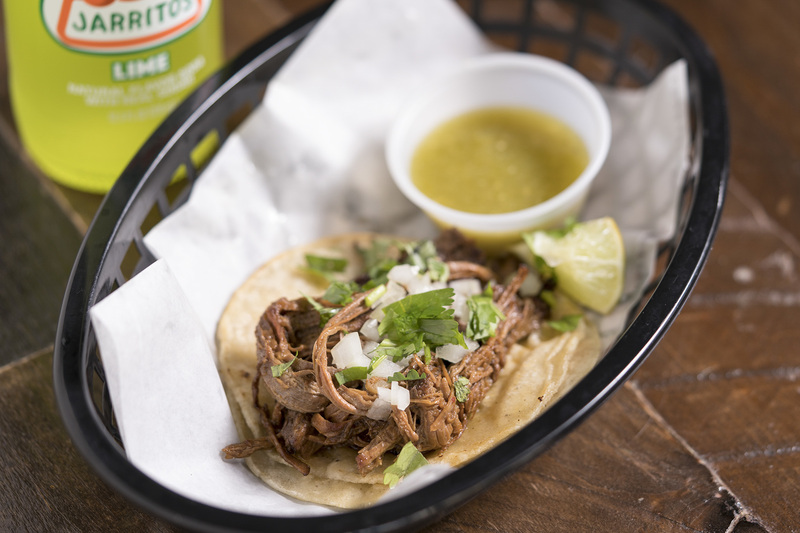 Barbacoa taco from Holy Taco! Holy Taco is one way to put it. 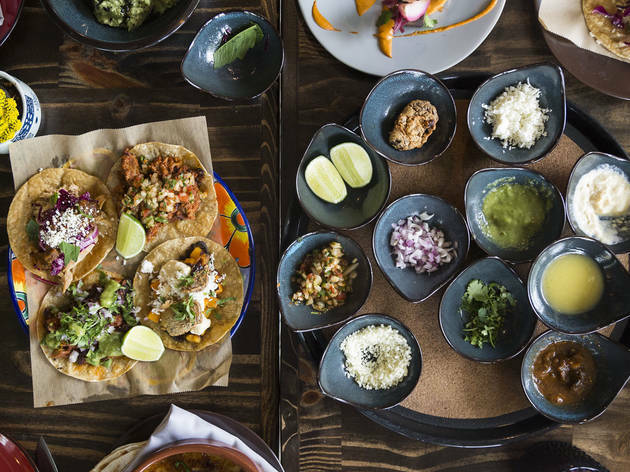 By the time you finish a plate of these tacos, you’ll have made a huge mess of the soft, flavorful beef and addictive salsa. We promise to look the other way while you lick your plate clean. $2.75. 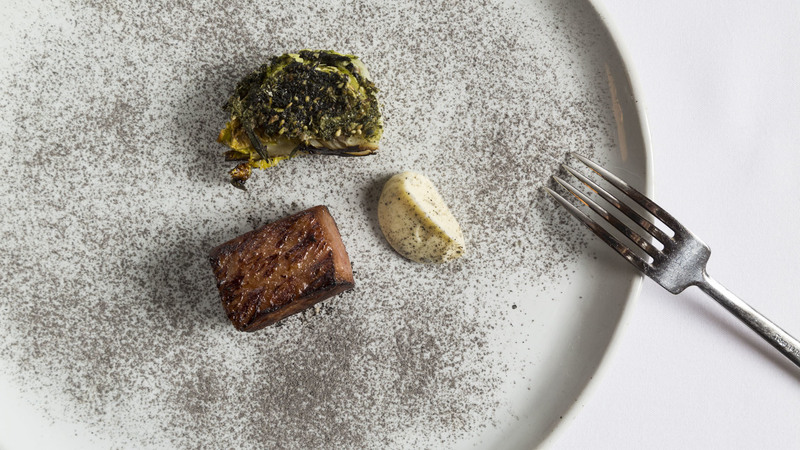 The entire fine-dining tasting menu wows, but we’re still dreaming about this dynamic course. 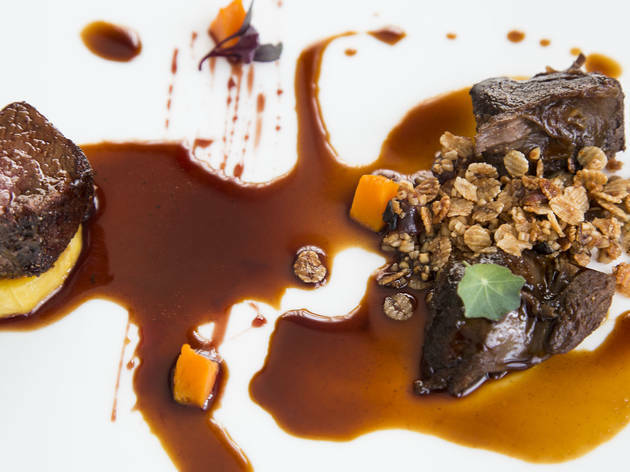 Two pieces of meat—roasted loin and milk-stout-braised shank—are presented with crunchy house-made granola and a tart pomegranate reduction, creating one hell of a flavor combination. Are you sure we can’t have a second serving? 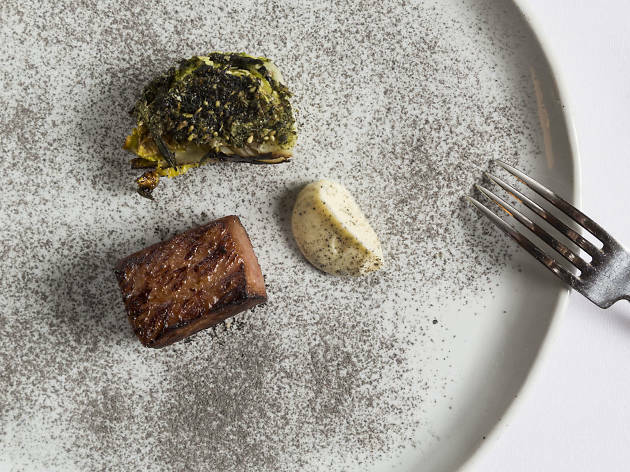 $125 for tasting menu. Trips to this Albany Park Mexican eatery always end in meat sweats, but we can’t give up this wood-grilled, sesame-seed–topped New York strip. It’s just one reason we’ll never be able to go vegetarian. $23. 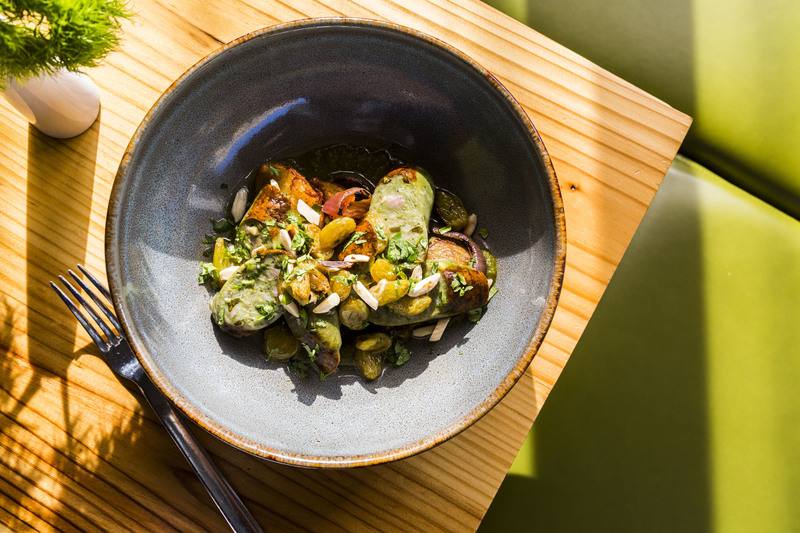 Good chicken tacos are hard to come by, but leave it to chef Diana Dávila to come up with the ultimate version. 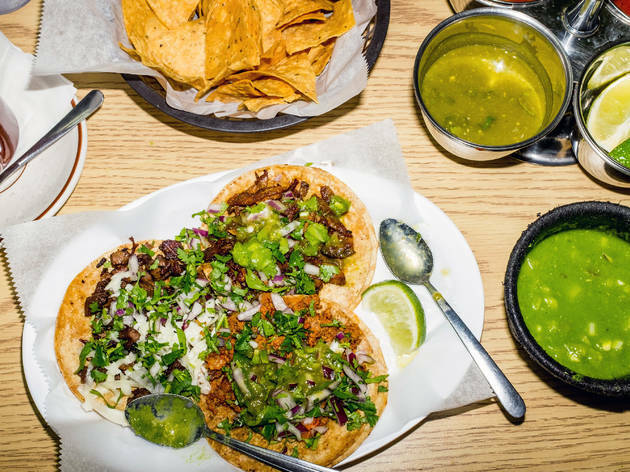 At her Logan Square restaurant, the poultry is smoky and tender and topped with refreshing prickly pear cactus. We’ll take four. $4.